Conventional futurist wisdom suggests that if our atmosphere should completely go to pot -- which it certainly appears to be doing -- humans could still eek out an existence living in self-sustaining biospheres. This would hardly represent a desirable outcome, but hey, it would certainly beat extinction. Moreover, a successful biosphere would prove to be an important step in the direction of space colonization, terraforming and remedial ecology. But there is one major problem with this suggestion: we have yet to create a closed ecosystem that can support human life for the long term. This revelation seems strange at first, but it's true. We can send men to the moon, but we can't sustain an artificial ecosystem. The fact that we haven't been able to do so needs to be taken much more seriously. The Earth's natural biosphere is still the only functioning one we have; all our eggs are currently residing in one basket. It's time to revive the biosphere projects of the early 1990s. Given the private sector's recent enthusiasm to develop space tourism technologies, perhaps another X Prize is in order. Our inability to create a closed ecosystem is not for a lack of trying. To date there have been two major biosphere projects, both of them failures. The Soviets conducted a number of experiments in BIOS-3 from 1972 to 1984. Technically speaking it was not a completely isolated biosphere as it pulled energy from a nearby power source and dried meat was imported into the facility. BIOS-3 facilities were used to conduct 10 manned closure experiments with the longest experiment lasting for 180 days. Among its successes, the Soviets were able to produce oxygen from chlorella algae and recycle up to 85% of their water. 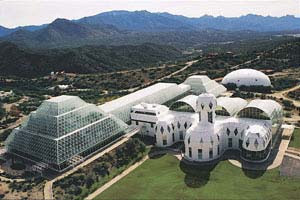 More recently there was the Biosphere 2 project in Oracle, Arizona. At a cost of US$200 million, Biosphere 2 was an attempt to create a closed artificial ecological system to test if and how people could live and work in an independent biosphere. It was a three-acre Earth in miniature complete with a desert, rainforest and ocean. Organizers conducted two sealed missions: the first for 2 years from 1991 to 1993 and the second for six months in 1994. Setting up and managing the parameters that drive a functioning ecosystem proved to be exceptionally difficult. Soon after the launch of the first mission, oxygen levels started to decline at a rate of 0.3% per month. Eventually the internal atmosphere resembled that of a community at an elevation of over 4,000 feet (1,200 m). Oxygen levels eventually settled at a dangerously low level of 14% (rather than the nominal 21% found on Earth) and team members started to become ill.
Organizers had no choice but to start pumping in pure oxygen and bring in other supplies from the outside. Biosphere 2 ceased to be a closed system (as much as it could be given the circumstances) and was branded a failure. As it turns out, oxygen was hardly the only problem. Biosphere 2 also suffered from wildly fluctuating CO2 levels. Most of the vertebrate species and all of the pollinating insects died, while cockroaches and ants started to take over the place. The ocean eventually became too acidic and the ambient temperature became impossible to control (biospheres don't come with thermostats). After the first experiment, the Biosphere 2 organizers conducted a shorter six month stint that ended in 1994. After the completion of this more focused experiment the owners decided to change directions and asked Columbia University for advice. Today it is largely a place where students can conduct experiments and tourists can loiter. Consequently, the Biosphere 2 project has been considered a big joke. If it's a joke, however, I'm not amused. Biosphere 2 was an important and eye-opening project. 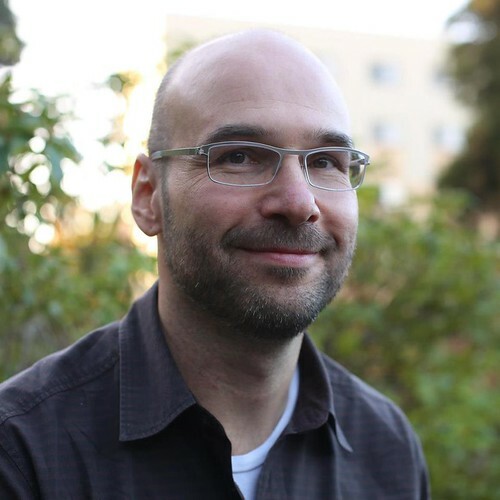 It revealed to us not only the difficultly of managing a closed ecosystem and the fragility of human psychology, but how challenging it will be for us to manage Biosphere 1 -- the Earth's biosphere -- should things really start to get out of whack. In this sense, Biosphere 2 should not be considered a failure, but rather a wake-up call to scientists, environmentalists, politicians and the general public. It should have resulted in the immediate creation of similar projects and related research. Unfortunately, the impetus these days from the private sector is towards the development of space tourism technologies like space planes and space hotels. Perhaps some entrepreneur should start an X Prize for the first viable and long term biosphere. It is the space tourism industry, after all, that would most certainly benefit from the creation of a working biosphere; humans will not go very far in space without a self-sustaining ecosystem around them. Moreover, given the rate of global warming and the ongoing depletion of the ozone layer, our atmosphere may start to turn on us. In the more distant future there will be such risks as global ecophagy. In our desperation, we may have no choice to but to dwell in temporary biospheres until we learn to fix our broken planet. It's a shame that there doesn't seem to be any current research into building sustainable materially closed biospheres. Finding out precisely why Biosphere 2 failed, and what would have been needed to fix it should really be a matter of priority for climate scientists. Thanks for posting this... I was a member of the first Biosphere 2 crew. If you're interested in what went wrong, and what went right (which was a surprising amount, given that it was the first real attempt at creating an artificial biosphere) you can read about it in The Human Experiment: Two Years and Twenty Minutes Inside Biosphere 2. Let's indeed have another go! I think these things become a joke not because of concept but because of execution. There are compelling reasons to research it further but wouldn't the money be better spent fixing what we have? I remember seeing those glass "NASA technology biosphere's" that had shrimp and plants and a couple snails which were supposedly totally sealed for $300. Not sure how long they really lasted but a simple system would work best. It's not about creating every aspect of Earth in miniature, just what works for what is needed. An ocean, rainforest, desert etc is a ridiculous notion. Also building the first long term bios in the Arizona desert wasn't too bright. It kinda defeats the purpose since the desert doesn't support life as well as more moderate climates. It's like trying to see which mouse survives the longest in an oven. Anything you put in there is going to die. $200mill? Maybe they should have created the first self-sustainable crack house 'cause whoever was writing the checks was sure smoking something! The X Prize Foundation has a page where you can submit ideas for prizes, I thought of this same thing and googled it and found your post. Perhaps a prize starting with sustaining small mammalian life for an extended period of time would be a good place to start, instead of jumping fully into human supporting artificial biospheres.